Cannabis school taught me many surprising things. For example, did you know that when a joint “burns black” rather than with white ash it could mean your weed was improperly flushed of heavy metals or pesticides prior to harvest? Or that highly pungent strains, such as Sour Diesel and Super Skunk, are described in stoner slang as “loud”? I also learned that a 50-pack of Timbits does not last long among 35 students after a 15-minute bong break. To be honest, that last bit did not bother me. Unlike my munchie-afflicted classmates, I failed to develop much of an appetite, at least as the afternoon of Day 2 wore on. For this, I blame the spider mites. I should first declare in my defence that arachnophobia has never been at the top of my irrational-fears list. On the contrary, I’ve been known to airlift many a daddy longlegs from my creepy basement bathroom to backyard freedom with bare fingers. But a close encounter with microscopic web-spinning insects (real ones, not the bad-trip hallucination kind) did not constitute part of the bird-course scholarship I had bargained for when I signed up for the two-day “cannabis sommelier course” held late last year at the Toronto offices of beverage importer Lifford Wine & Spirits. Appropriating the French term for a fancy-restaurant wine expert – “somm” for short – the course was aimed at keeners aspiring to work in the hospitality or dispensary-retail sides of Canada’s bourgeoning legal-cannabis sector. My class, conducted by two fine instructors from Vancouver-based training firm CannaReps, seemed roughly split between alcohol sales reps and long-time cannabis users finally liberated to pursue their dream jobs. “We will, I believe, see a whole series of new hospitality positions around cannabis, especially combining beverages, combining it with food and I guess in the retail environment that’s coming as well,” says Kim Gertler, communications director for the Ontario chapter of the Canadian Association of Professional Sommeliers, which helped organize the Toronto course. I suppose it was inevitable. In an era when it can seem impossible to swing a pepper mill around in a fine-dining establishment without concussing at least two wine stewards, the age of the crisply attired, nose-in-the-air cannabis sommelier is upon us. Toking may never be the same. Which brings me to the mites. In my “hands-on” course, each student was equipped with tweezers and rubber hospital gloves to manipulate what lead instructor Adolfo Gonzalez ominously described as “problem bud.” Turns out there were two issues with the dried cannabis flower (the portion of the plant that gets smoked). One was blatant to a wine critic such as me. The bud exhibited that musty, wet-dog odour similar to cork taint, in this case indicating poor curing or storage. After nosing the dank sample, we were instructed to perform a visual examination using cute little hand-held microscopes, which looked like folding binoculars designed for a squirrel. “There is something on this bud that shouldn’t be there,” Gonzalez said, directing our attention to some black spots. This unsettling revelation was met with a chorus of gasps, as though our class had just been told its favourite tuna brand was, in fact, a line of cat food. Sleuthing for defects was just one of many skills covered in the $680 course, which included sections on botany and plant ancestry, a mock-dispensary role-playing exercise and dosage calculations for oil concentrates and edibles. Then there was the much-anticipated sensory portion, which included sniff tests of popular bud strains, to build our memory banks, as well as actual outdoor smoke breaks during recess (as ever, the best 15 minutes of the school day). Occasionally, there were moments when I could barely make out Gonzalez’s soft-spoken partner, Julie Domingo, because a guy behind me in metre-long dreadlocks kept snacking on a bottomless stash of potato chips as well as on an assortment of Lotsa Fizz hard candy (complimentary with enrolment!). The course notwithstanding, there is at present no widely recognized certification body for cannabis sommeliers. While CannaReps may have sprung early from the gate, graduating more than 500 students so far and taking its courses to such cities as Calgary, Edmonton and Victoria, other players are dipping toes in the water, including the professional wine-sommelier association, of which Gertler is also national communications director. 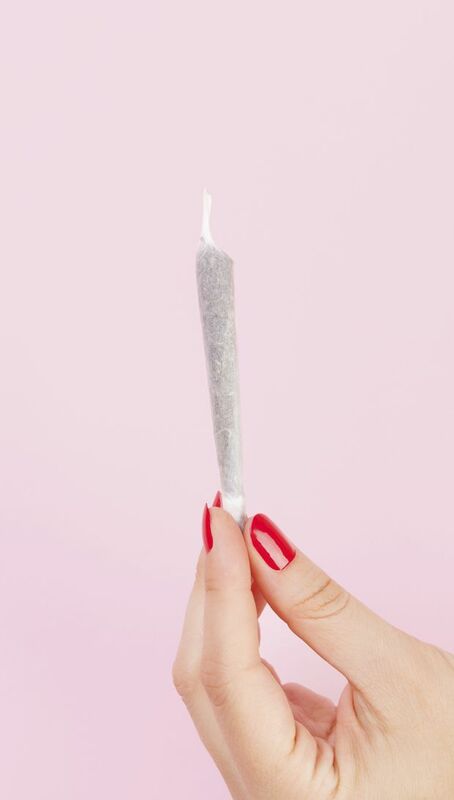 Colleges, universities and various fledgling and often sketchy online players are sniffing the opportunity, though some favour the awkward term “budtender” rather than “sommelier” to describe a retail worker. Mount Royal University in Calgary, to name one, last year introduced an online Cannabis Education Program in partnership with British Columbia’s Kwantlen Polytechnic University, which includes instruction for retail workers. Toronto’s George Brown College, with a large school of hospitality and tourism management, is “studying the industry and is having discourse in order to decide the pathway that [the college] may take in the future,” according to professor and academic co-ordinator Doris Miculan Bradley, who has begun to scout an executive board to form the Canadian Association of Professional Cannabis Sommeliers. Over the border, the Colorado-based Trichome Institute, named after enoki-mushroom-shaped outgrowths in the bud, has emerged as the self-proclaimed leader in certification for U.S. cannabis workers. Then there are the rogue pioneers – beverage sommeliers who love and know their weed and are stepping out on their own to host cannabis-gastronomy events. Andrew Freedman, a sharp 25-year-old Calgarian who trained in wine and has been using cannabis since he was 12, boldly refers to himself as “the first cannabis sommelier” and runs a YouTube channel called, yes, The Cannabis Sommelier. Freedman’s more than 100 tasting videos, in which he reviews various strains, have drawn attention south of the border, where he has been invited to work at big, lavish parties, including two at a mansion in Bel Air in Los Angeles. His prominent counterpart in the United States is Jamie Evans, a 31-year-old who brands herself the Herb Somm. With a degree in wine and viticulture from California Polytechnic State University and a decade in the wine industry, she recently ventured out on her own with a blog and an event series for the “canna-curious,” wherein she teams with chefs and beverage brands in legalized-cannabis states to host ritzy pop-up dinners featuring low-dose infusions and fine wines. At this moment, I can plainly see his point. My brain is spinning as I pore over course notes in preparation for my final exam. More nervously, I’m steeling myself for the follow-up verbal defence that I’ll have to deliver regarding my grasp of two cannabis studies that have been reported in refereed scientific journals. When friends joke that I’ve been spending too much time toking my way through “stoner school,” I tell them no, that such words might more accurately describe my years in actual school. Cannabis academy is way harder than that.